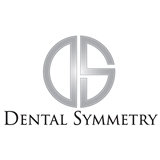 Dental Symmetry (Plainview) - Book Appointment Online! Drs. Sternberger are experienced professionals who are specially trained to handle the full spectrum of general, cosmetic, and restorative procedures to treat patients in all stages of life. Our dentists are members of the American College of Prosthodontists, the American Dental Association, and the New York State Dental Association. Dr. Sternberger was excellent, very friendly and listened to my needs. She was gentle and her assistant was great too. The office has a wonderful vibe and everyone smiles. Very refreshing place to be.